"All Eights must deal with power and learn how to use it correctly. 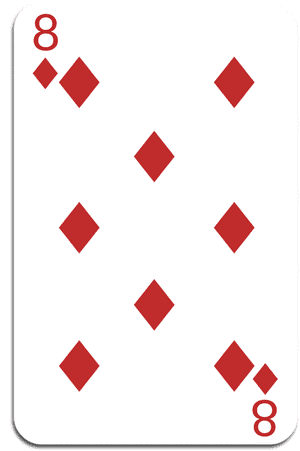 The Eight of Diamonds rules the realm of value, believing that they know what is most important for everyone and everything. Though they may hold positions of responsibility and authority, in their intimate relationships..."